Every great singer is a great actor. Whether it’s the Broadway star, the finalist on American Idol, or the singer-songwriter at the local coffee house, the performer who stands out isn’t just the one with the best voice – it’s the one who knows how to use that voice to move audiences through a performance layered with honesty and nuance. In Michael’s studio, students gain a solid understanding of how to produce the best quality of sound in the healthiest manner possible. These voice lessons are rooted in classical technique, and include instruction in breathing, support, resonance, and extension of range. Students are also taught how to blend this classical training with a wide range of acting techniques and character analysis. In this way, students are able to create performances that are entirely their own, and bring something wholly original to even the most well-known repertoire. This style of teaching can be applied to all genres of singing: musical theater (traditional and contemporary), pop-rock, jazz, classical, R&B – Michael is proud to teach it all! As an acting teacher, Michael believes that the many schools of “method” acting are ultimately potential tools for an actor’s toolkit, rather than one-size-fits-all approaches. He therefore teaches various methods (mostly from Stanislavski schools of thought) catered individually to each student, with a heavy emphasis on character and textual analysis, and the need to make strong and informed choices regarding motivations and tactics. These techniques apply equally to theater, musical theater, film, and voice-over, and Michael enjoys teaching his students how to excel in any media forum via truthful performances and a solid understanding of the adjustments required each one. Michael also teaches dozens of accents and dialects, which he routinely perform himself in the field of animated and commercial voice-over. Michael also specializes in repertoire coaching and audition technique, and his students have gone on to be accepted to the top music and theater schools in the country, including New York University’s Tisch School of the Arts, Boston Convervatory, the Berklee College of Music, Penn State University, the University of the Arts, Pace University, and Emerson College. All students also have access to Michael’s recording studio, where they are able to record original compositions or cover pieces with any desired instrumentation. Singer/songwriters have gained from Michael’s extensive compositional experience, and multiple students have recorded everything from single tracks to complete demo albums in the studio. For more information or to schedule a lesson in, please send an inquiry via the contact form. "Michael is by far the best teacher I’ve ever had, but he is also SO much more than that. He has been an incredibly powerful force in every huge experience and accomplishment that have utterly changed the course of my life for the better. From helping me get into Berklee (my dream school) to co-writing my first song to performing that song live with me at a breast cancer benefit concert to helping me get my dream job as a music therapist at a children’s hospital. I honestly think Michael is my guardian angel, and am so grateful because I can’t imagine what my life would have looked like without him." "What makes Michael unique and the greatest at what he does is his ability to never intimidate and always inspire. He has perfect technique, endless patience, and a sense of humor that puts every student at ease. I am a better singer, a better actress, and a more self-assured person thanks to Michael." "Michael has taught me how to delve into characters and to apply the many nuances from different methods of acting. He has not only taught me about the "How?" of acting but also the "Why? ", and also to put my own self and experiences into a role. Michael has also taught me technical vocal technique so that I can sing healthily, while integrating the acting training into that as well. This nuanced acting and vocal training is incredibly unique and makes Michael a teacher any student in the performing arts should want." "Michael is an incredible teacher. His knowledge of music along with his experience as an actor and singer combine to make the perfect voice teacher for anyone that wants to improve as a singer and/or actor." "Fantastic, absolutely worth the investment! 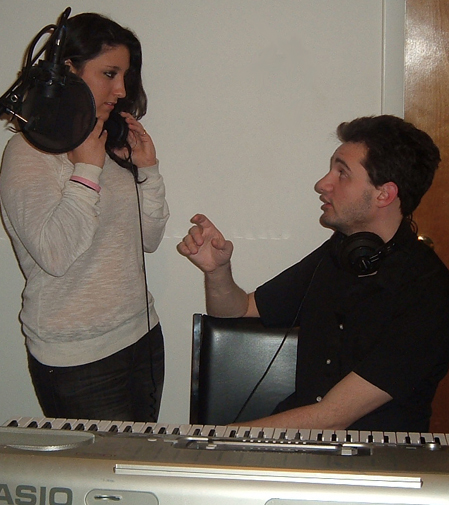 Over the past few years, Michael worked nimbly with my daughter to extend her vocal range, hone her theatrical presentation, and sharpen her understanding of the practical application of music theory. Michael’s professionalism goes beyond the standard—he truly invested himself in the success of our daughter. It’s been pure joy to watch her bloom under his guidance!" "We have tried other teachers over the years, and Michael blows them all out of the water. I am always amazed at the way Michael speaks to my daughter – he always knows just what to say to inspire her to reach and surpass all of her goals, all in an atmosphere of laughter and passion for music. Michael is the highlight of our daughter’s week – so much so that I’ve now signed up for lessons with him myself!" "Thank you Michael for helping our daughter prepare for her college auditions. Your music selections and subsequent arrangement of the music was stellar, and your work with her on theatrical interpretation was instrumental in her audition and successful acceptance into her dream school."